Google has been working on a prototype feature called Never-Slow Mode. This prototype feature, referenced as a work in progress in a commit for the Chromium project, aims to improve the user experience, delivering consistent quick browsing. According to w3schools, Google Chrome has +70% of the market share, followed by Firefox with 10%, and Internet Explorer/Edge with 4%. A series of features put Google Chrome at the top, such as sync with Google services, and thousands of extensions. Furthermore, Google offers a lot of apps that runs on browser, and is constantly working to improve website's performance, or contributing with new specs/tools such as the SPDY protocol, that manipulates HTTP traffic, focused on reducing web page load latency and improving web security. Google Never-Slow Mode, in a general way, introduces budget limits for resources such as css, images, large scripts, etc. According to Alex Russell, these budgets are designed to keep the main thread clean. Currently it blocks large scripts, sets budgets for certain resource types (script, font, css, images), turns off document.write(), clobbers sync XHR, enables client-hints pervasively, and buffers resources without `Content-Length` set. Budgets are re-set on interaction (click/tap/scroll). Long script tasks (> 200ms) pause all page execution until next interaction. Dinsan Francis has found a description of the prototype feature Never-Slow Mode that informs that resources that exceed the budget are blocked by the browser. It enables an experimental browsing mode that restricts resource loading and runtime processing to deliver a consistently fast experience. WARNING: may silently break content! It is important to note that the websites have grown significantly in size over the years, while internet speed has not increased so much. 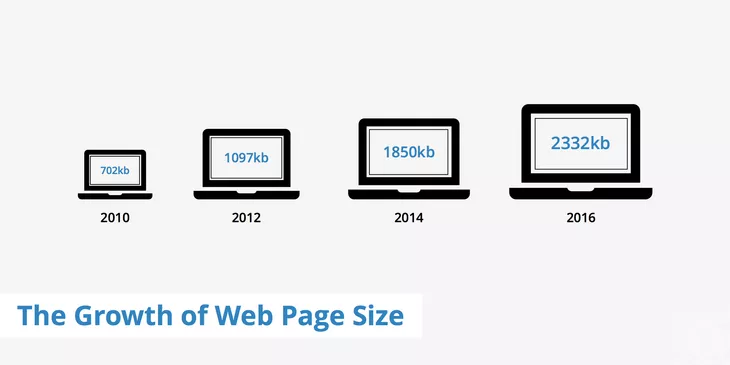 A KeyCDN analysis found that the average webpage size increased from about 700 Kilobytes in 2010 to 2300 Kilobytes in 2016. At the moment there is currently no information about the estimated release date of the Never-Slow Mode, or even if Never-Slow Mode will be included to the next major version of Chrome.